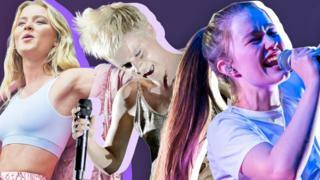 What do Abba, Sigrid, and Zara Larsson all have in common? It's been a massive few years for Sigrid, who burst onto the world stage in 2017 with "Don't Kill My Vibe". A year later the Norwegian singer and songwriter won BBC Music Sound of 2018 and now her first album Sucker Punch comes out. But she's far from the only Scandipop artist who's been taking the UK and world by storm in recent years. Here's all you need to know about music from this particular region in the world. It's not strictly a particular style of music, but it basically includes any artists which come from the countries making up the region of Scandinavia - Norway, Sweden, and Denmark. 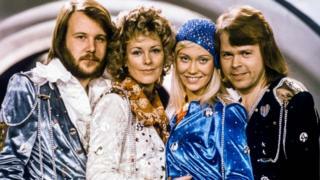 The UK's love for Scandipop began in 1970s when the Swedish band Abba burst onto the music scene at the Eurovision Song Contest back in 1974. Their debut single Waterloo topped the charts, and over the years the band got 9 No. 1 singles. Abba's music is still having an impact in the music world today, with the Mamma Mia! : Here We Go Again film soundtrack helping the band top the charts once again at the end of 2018. Last year the pop legends also announced that they'd be releasing their first new material in 35 years, having recorded two new songs together, and are planning a 'virtual' tour for 2019 using hologram technology. There have even been rumours that ABBA could headline at the 2019 Glastonbury Festival. 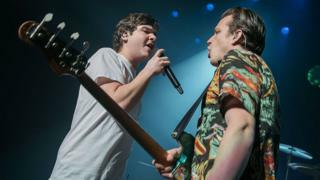 With more and more Scandi bands and artists singing in English, they're increasingly popular in the UK which has made Scandinavia one of the world's top exporters of pop music. Sigrid started her musical career at 17, starting a band with her sister called Sala Says Mhyp, which was named after their cat. But before long she decided to go solo, releasing her debut single Sun in 2013, which became her breakthrough single in Norway and landed her a record contract. She since gone from strength to strength, swapping performing at music festivals in Norway for touring with Maroon 5 and George Ezra later this year. Robyn first hit the charts in the late 1990s as a teen star, scoring a global hit with the song Show Me Love, and receiving three Grammy Award nominations in 2010. After taking some time out of the limelight, she released her eighth solo album Honey in last year, and has been spending 2019 on tour across the US and Europe. Many other artists have named her as their inspiration, with Katy's Perry calling Robyn "the epitome of effortless cool". Lorde has even performed with a framed photograph of Robyn on her piano, saying that Dancing On My Own inspired the tone of her second album. 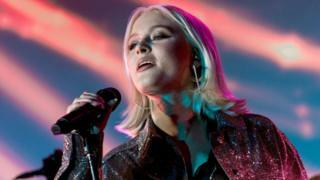 After winning a TV show called Talang - the Swedish version of Britain's Got Talent - when she was 10, Zara nabbed herself a record contract, released an album, and topped the singles charts in Sweden, Denmark, and Norway. But she wasn't super famous in the UK or US until she signed a US record contract and began collaborating with big name artists like David Guetta on the official Euro 2016 single. Zara's star has been rising ever since, with "Symphony" helping her nail her first UK number one, her fifth number one in her home country. She's also been named on the Forbes 30 under 30 Europe list which puts together the most influential people aged under 30 years old. His name might not be one you recognise, but you'll definitely know his songs. The producer has written everything from 90s hits like Britney Spears ...Baby One More Time, and Katy's Perry's I Kissed a Girl, to Taylor Swift's Shake It Off, and The Weekend's Can't Feel My Face. In fact Martin's tally of 22 number ones makes him the third most successful songwriter in US chart history, behind only Paul McCartney, who had 32, and John Lennon with 26. He's so good at writing hits that X Factor judge Simon Cowell has even joked: "I don't think that Max Martin is human. I think he was made in Sweden to make hit records, because nobody human can have done what he's done." If you've heard or sung the lyrics "I'm a Barbie girl in a Barbie world", then you've heard Aqua's biggest hit, possibly without even realising it. The band began as a Danish-Norwegian dance group in 1989, and achieved huge success around the globe in the late 1990s and early 2000s. They've cited fellow Scandi band ABBA as one of their key influences. The band's members - vocalists Lene and René, keyboardist Søren, and guitarist Claus - later split, and achieved chart success with their solo projects, before getting back together for a number of reunion tours. Their third album, Megalomania, was released on 3 October 2011. The Danish band, made up of lead vocalist Lukas Forchhammer, drummer Mark Falgren, and bassist Magnus Larsson, had their biggest hit to date with the single "7 Years". The song had 10.4 million digital streams and downloads, making it into the top 10 most downloaded songs of 2016 worldwide, reaching number one in the UK, and in the US, and making the band the highest charting Danish act in 55 years. A perhaps less well know release from Lukas Graham, is "Off to See the World", which featured on the soundtrack of My Little Pony: The Movie. What are the catchiest songs ever?